oh, i covet her. 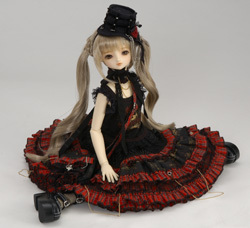 *covet* i don’t think there’s anyway i could afford even just the doll, but how much were you thinking for teh split? (btw, hi, i’m liz. i read yer blog a lot, but i’ve never commented. i’m shebaregina on DoA. nice to make your acquaintance. :~) feel free to pm or mail me back… or just to tell me to f-off.